Wishing you all a fruitful lecture-free week! This last week we again brought drama into our experience of literature. Drama can bring the insights of literature directly into our bodies as we work to make the lines and ideas breathe and move. And what a fabulous feasts of dramatists we have in Australian Literature (from Louis Esson through to Chi Vu). I look forward to seeing this dramatic journey through the landscape of Australian drama in our sessions in Week 12. In the Twentieth Century we have listened again to those seminal voices that underpin nearly all of modern drama: Samuel Beckett and Harold Pinter. These are two dramatists who try to bring their theatre as close as possible to the questions at the heart of human existence: why do we suffer? why are we here? what purpose can we find in our lives? And both playwrights take us to the edge of what we can bear to see: our parents in a dustbin; our every move scrutinized by some alien authority figure. Along with Beckett and Pinter we have also ventured into the world of Brien Friel and Tom Stoppard, two recent playwrights also fascinated by the way the experience of meaning in our lives is directly related to the kind of language we use. Was this not also at the centre of George Orwell’s question in “Politics and the English Language”? 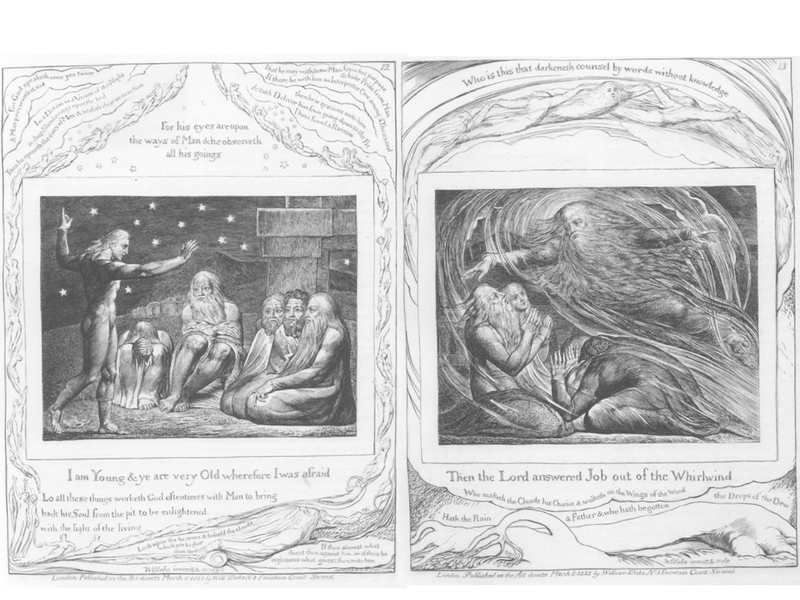 This declaration also chimes in beautifully with our discovery this week at how Job – in the version of his story engraved by William Blake – is also represented, above all, as someone touched with the visionary power of poetry. Job, through this awakening to the mystery of poetry, beyond reason, becomes the one who directly challenges the moralistic, political manipulations of his so-called friends who want him to admit that he is bad, evil, deserving of punishment. 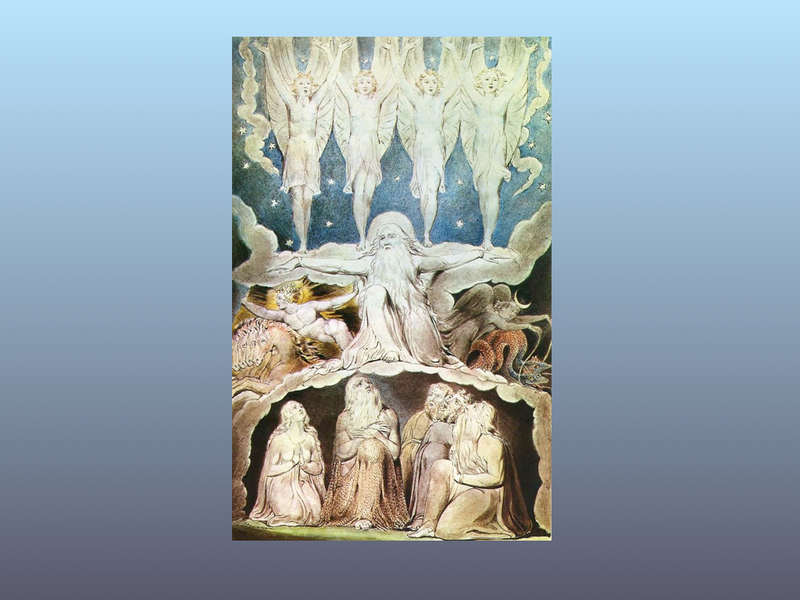 Job is “saved”, by the visionary direction of young Elihu who awakens in Job the capacity to see another dimension of reality, expressed by Blake as the powerful God in the whirlwind. There is a lineage here that needs to be listened to: Job…. Blake…. Shelley…. Pinter…. ← Politics and Language- Week 9 around the corner!